The iPhone 5s officially launched last Friday, but already a group of hackers has successfully cracked the fingerprint authentication. In spite of the hype surrounding this news, though, the hack of Touch ID idoesn’t change the fact that the fingerprint sensor on the iPhone 5s is the best thing that’s happened to iPhone security so far. Spurred on by a crowdfunding effort to offer a ransom, The Chaos Computer Club (CCC) stepped up to the challenge and created a latex mold of a lifted fingerprint that allowed them to slip past the Touch ID defenses. 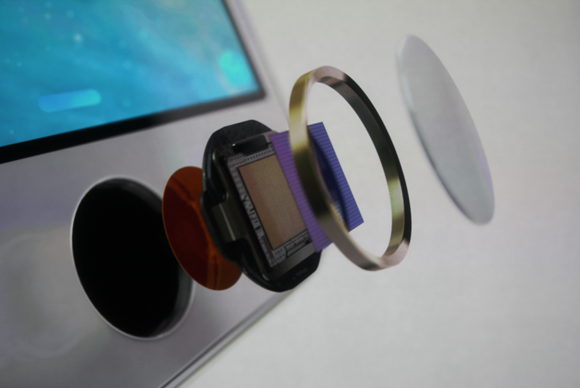 The iPhone 5s has a fingerprint scanner built in to the home button. So, once again fingerprint scanning technology has failed. Right? Well, no. The fact that a security control is not invulnerable is not an indictment against using it at all. Antimalware protection isn’t absolute, but most businesses and individuals still use it. The lock on your house can be picked, but that doesn’t stop you from locking your door at night. The reality is that security isn’t about invulnerability. Security is an exercise in risk management and raising the stakes for the bad guys. You don’t need to have “unhackable” security—you just need security that makes it more difficult and impractical to get past. Even the CCC doesn't suggest using no security. They simply believe that the fingerprint scanner is less secure than using a passcode. Some security is better than no security at all, though, and since most iPhone users refuse to use the passcode security, the Touch ID fingerprint scanner is infinitely superior. Besides that, the hack isn't easy to pull off. Despite the CCC's boast that anyone can do it using “materials that can be found in almost every household,” it’s a stretch to say that a 2400 dpi camera, a 1200 dpi laser printer that can be configured for a “thick” toner setting, and pink latex milk are common household items. But If you’re really concerned about someone lifting your fingerprint and creating a fake one using the CCC mold technique, register your little finger instead of a thumb or pointer finger. A thief will probably be able to find a decent print of your thumb or pointer finger on the iPhone itself, but it’s much more difficult to find a workable print of your pinky.